Now that the midterm elections are over, Republicans have decided to use the next two months to be productive during a lame-duck session. According to Sen. Tom Cotton (R-AR), Republican senators will work through New Year's Eve to confirm all of President Donald Trump's pending judicial nominations, The Washington Times reported. The decision comes after Democrats made a pact to take the maximum amount of time to debate Trump's picks, which could severely hinder the GOP's legislative priority of packing the federal courts with conservative judges. 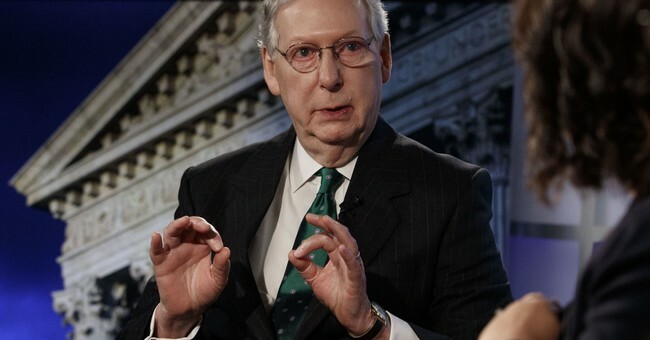 “I know that Sen. McConnell has made a commitment that we’re not going to leave any judges behind over these next two months,” Cotton told conservative talk radio host Hugh Hewitt. “So it’s really up to them [the Democrats] whether they want to confirm those on Christmas Eve or New Year’s Eve, or whether they want to confirm them earlier in December by yielding back the time." To get things done before the midterms, Democrats and Republicans were striking deals, one of which included confirming 15 of Trump's judicial nominees. In an unprecedented move, the Senate Judiciary Committee heard hearings about an additional 10 more nominees, despite Democrats' opposition. No Democrats and only a couple Republicans showed up for the hearings where three circuit court judges were being considered. "We previously asked you to reschedule these hearings for when the Senate was back in session. Unfortunately, the hearings – which included controversial nominees for the Fourth and Ninth Circuits – went forward, even though no Democratic members and fewer than three Republican members were able to attend both hearings – meaning over 85 percent of Committee members were unable to attend," Ranking Member Dianne Feinstein (D) said in a letter to Chairman Chuck Grassley. Currently, 40 nominees await a vote from the Senate.